Food shelves in Minnesota are innovating. In recent years, many have made changes to their food offerings, and even their policies, in order to better meet the needs of their communities. Increasingly, food shelves are stocking fresh fruits and veggies, incorporating customer choice models, and launching new mobile programs in order to reach individuals that are unable to visit the food shelf due to transportation and mobility barriers. Samty Xiong, Equity Specialist with The Food Group, is challenging food shelves to keep improving. From the food made available to how volunteers are trained, Samty supports food shelves in ensuring that the services they offer meet the needs of their increasingly diverse communities. Before joining The Food Group, Samty was an AmeriCorps VISTA placed at the City of Saint Paul’s Department of Human Rights and Equal Economic Opportunity where she coordinated the city’s racial equity initiative and helped provide racial equity training to over 1,500 city employees. In her role at The Food Group, she is able to focus on racial equity in food access and work on dismantling racism in the food system. 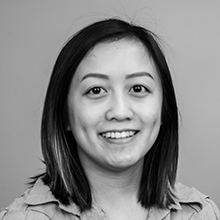 Samty is also an active member of the Metro Food Access Network (MFAN) where she serves on their Strategic Team. Increase the amount of healthy foods, decrease the amount of unhealthy foods, and provide a greater variety of healthy foods that are culturally familiar to customers distributed by food banks and food shelves. Increase resources available to hunger relief programs for obtaining and storing healthy foods, including food grown by nearby farmers and foods familiar to customers’ cultures.